I would claim this an editorial, but in light of the definition of the word "editorial", this blog entry is more an accounting of fact than opinion. The limited opinions posted here are only of the sentiment "isn't that nice". Other than that it is a factual accounting. I have been in virtual worlds for a decade now have seen many come and many go. Have watched OpenSim type grids come on to the scene and be a viable alternative to Second Life. Being employed by Island Oasis leaves me in position of being quite familiar with the features of this grid. After pondering the differences in our grid and others I couldn't help but be overwhelmed at the vast number of features that we have for our residents here. While reading the rest of this I challenge you to name one other grid who has all these features. Yes, you will find grids who have one or more the features but so far I can't name one that has them all... except Island Oasis. When you spend more that 200 P$ (our in world currency) during a calendar month, Island Oasis pays you 2% back as a thank you for spending your time here in Island Oasis and patronizing other Island Oasis merchants. * llGiveInventory() works across regions. This is an important scripted feature that works grid wide and not just the sim you are in, this is very important for those who create, sell and use vendors with auto update features, rental.lease systems and more. *No fees for partnering, groups, classifieds, uploads or imports or taking inworld pictures! Tired of being nickel and dimed to death over all the associated costs of being in a virtual world? Tired of the cost of saving pictures to your inventory or being charged a fee just to partner with someone? We don't charge for any of it! For migrating merchants we have lowered your migrating cost by not charging for many things you would need to bring your items here and have content ready to sell and market yourself through groups and classifieds. Safety & Security! You can generate a request for a backup of our inventory. Our system will create an encrypted, compressed file containing all of your inventory data. This encrypted snapshot of your inventory will then be made available for you to download. In the event that you encounter inventory issues or accidentally delete items from your inventory, you can email this file to our support desk 'paolinos@islandoasis.biz' and request to have your entire inventory or a specific inventory item restored from the backup. NOTE: Support will not restore no-copy items unless there is proof that the item(s) were lost due to an internal system failure or error. No-copy items must be recovered by contacting the original creator or vendor. Island Oasis always honors and protects the original creators permissions on items. You can actually reply to the offlines that go to your email and it goes back to the sender here inworld. Normally, in other grids, you can not reply to an offline that is sent to your email. You would have to log back into the grid to send the person a response. After you have owned your region(s) for 6 months you can claim your choice of free gift. Either additional prim being added to your region or you can choose a landscape sim. Land owners receive a monthly stipend based on the type of region they own. If you own multiple regions, you will receive multiple stipends. When you own land in Island Oasis we put the tools in YOUR hands to maintain your region(s). When you login to your account through the IO website, under your Account Manager tools. Now picture yourself a club owner who has an event at 7pm nightly, wouldn't it be nice to put your sim on a recurring restart schedule for a time that you pick? Just set it to restart at 6pm before the event starts and know you sim is ready for the activity! Maybe you just want to set a schedule for your land and never have to worry about another restart as long as you own your land. In IO you can do just that. *Marketplaces actively linked to our virtual world. No having to sign up at third party sites and click a kiosk to connect or register your avatar. You can even purchase as gift from marketplace for other avatars. Although we have the ability to enable the traffic statistic, we've chosen not to enable it as we feel it can be too easily manipulated or gamed. This is to create a level playing field for all business owners and landowners alike. Striving for ways to benefit residents and merchants alike IO has revamped their Shop the Blocks Program. The point of the program is to provide a shopping location open for all residents where nothing costs over $100P. The program is also a great way for merchants to let residents see a sampling of their items for sale and pick up a LM to their main store. Booths are FREE and open to all merchants from any genre. Shop The Blocks is located in the in the region Shop the Blocks. The Booths there are not for rent. There is no box to click to renew. Merchants can just pick one out and can set up their booth with a few items and a LM giver to their main location. As long as they have a store open to the public with items for sale, the Shop The Blocks Booths are open for all merchants to claim. If an avatar has more than one store brand, with different items & locations, they can claim more than one Booth per separate store brand. Example: you have 2 stores with 2 separate store brands in IO. The first is called Home Designs III and sells houses and the other is called Sweet Feet and sells shoes. You can claim 2 booths, 1 for each store brand. There is one sample booth rezzed at the Shop the Blocks location so merchants can see one idea of how to set up a booth. The sample both has only used 11 prims out of 30 allowed. Prims used: 3 (1 each) for LM giver, free gift and group joiner, 1 for the logo sign, 1 for the background sign, 1 for the Sample Booth sign and 5 for boxed sale items. There will be low cost AdBoards available to rent in addition to the Free booths. No item for sale for over $100P. You MUST have a sign to identify your Store Brand rezzed in your booth. Items must be rezzed in your booth (nothing can stick out past the rezzed booth space). Do not rezz items on top of the booth. One booth per Store Brand. Prim Limit of 30 per booth. No Particles that go outside your booth. No prims with hovertext on the back wall of your booth. If selling scripts the scripts must be off, and double boxed. Scripted items for sale MUST be boxed. No shouting items, lucky chairs, contest boards, adboards, money trees allowed. You may sell those boxed items but they are not to be rezzed by merchants to draw people to their booth. (we aim to minimize use of scripts here). Join the Shop The Blocks group and send an IM to Sophia Paolino to get your merchant tag to begin rezzing your items. -Encourage all residents to join the Shop The Bocks group for notices of sales. -Send out weekly or monthly notices for your Store brand in the Shop the Blocks Group. -Be creative, you can add a background to the blue strip in the center or rezz a cover prim over the top black prim of the counter and add a different texture. -Since there is a prim limit you may want to box items for sale instead of setting the actual item out for sale. NOTE: If the merchant no longer has a store in IO their items in their booth will be returned. Recently, mid-December, the Marketing Department’s own Sydney Frenzy had the opportunity to visit with resident & creator Kat Ewry. We would like to share that meeting with you, now that we are back after the holidays. Sydney Frenzy: What is the name of your business? Sydney Frenzy: What type of business is it? Sydney Frenzy: How long have you been in Island Oasis? Sydney Frenzy: What brought you to Island Oasis ? Sydney Frenzy: Are you in any other grids if so which ones? Sydney Frenzy: What kind of products do you create? Kat Ewry: any kind. I make whatever your imagination can think of. Sydney Frenzy: How long have you been in business? Kat Ewry: since 2008 I started a clothing and jewelry business. Sydney Frenzy: Do you have any business partners or employees? What would you like tell us about them? Sydney Frenzy: What was the inspiration for you starting your business? Kat Ewry: I like to look great and wanted to help others feel good about themselves. Sydney Frenzy: What are the goals of your business? Sydney Frenzy: How do you stay motivated to continue your business? 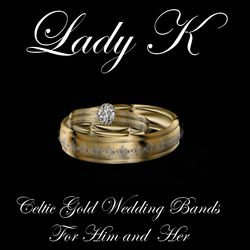 Kat Ewry: I love to make custom jewelry and my customers give me the motivation to keep going. I love to hear how happy they are with the jewelry. Sydney Frenzy: What is your ideas for your products? Kat Ewry: I get ideas from my customers, they are the best ones, sometimes I see a lovely set of jewelry on the internet or shopping rl and am inspired. I am going to introduce Kattude, Katitonic, Katipoodle, etc. Kat Ewry: its fun to play on a theme as well. Sydney Frenzy: Do you allow custom orders? 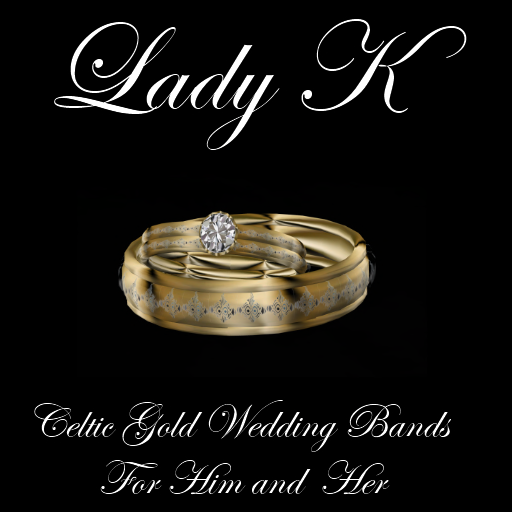 Kat Ewry: yes my best jewelry has came from Custom orders. Sydney Frenzy: Do you have a way to for customers to give feedback ie. website? Kat Ewry: for now here in IM, Note card, or they can message me on my facebook page. Sydney Frenzy: Do offer customer service and if so how? Do you offer any discounts or perks for group members? 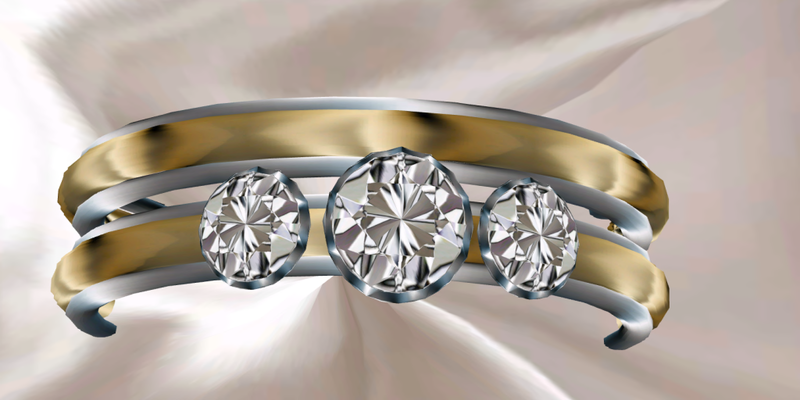 Kat Ewry: I need to implement that more, I love to give away my jewelry at events, I encourage customers to let me know what they would like to see me offer as well. Sydney Frenzy: Do you have any business or product announcements you would like to share? Kat Ewry: I will be sharing my Katitude line soon and my rings are coming soon just have them in edit now. Sydney Frenzy: Before we conclude here what would you like our readers to know about you as a person? Kat Ewry: I love to build, and I am a real life artist and I have found that building is not only a great stress reliever, but it is also a great means of satisfaction from making that perfect set for my customers, and friends. I encourage for my customers to challenge me to make that special item that will make them love themselves then I am fullfilled as a person and a business woman. Sydney Frenzy: Is there anything else you would like to add or share with us? Sydney Frenzy: Thank you for taking the time to sit down with me today. Sydney Frenzy: Would you like to give a testimonial we can use? Kat Ewry: I would encourage people to check out this grid, I can't believe the talent that is here. I would love to see everyone check us out. I would love to see people that want to experience the elegance, and charm of this friendly grid. As you can see Kat Ewry is a talented woman. We thank you for taking the time to share and participate in this interview. 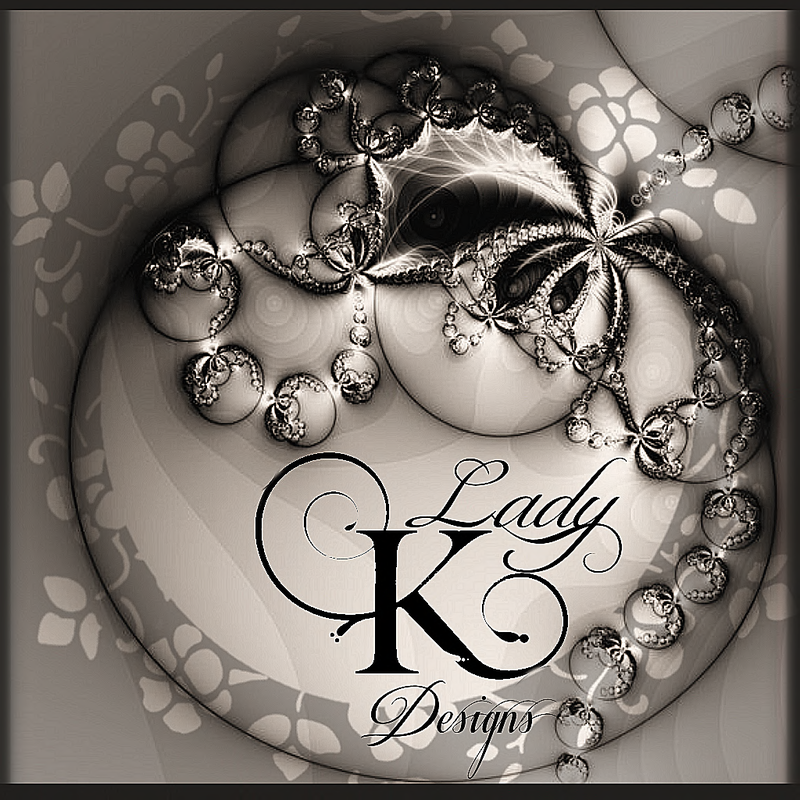 Make sure to visit her store in world, Lady K Design. Island Oasis began as a grid in early 2011. Since that time many changes have occurred and growth has been steady. Formerly a part of hypergrids, now Island Oasis is a stand alone grid. The residents of Island Oasis come from a broad spectrum of walks of life, economic backgrounds, social interests, geographic locations around the world and have a varying degree of experience with Virtual Worlds. This diversity should be celebrated and seen for wonderful beauty of collective experiences of the resident populace in IO. In a quest to further welcome residents to the grid and get information out about Island Oasis there are many ways information about the grid is released. This would include, but is not limited, to the Island Oasis Information Portal to hear grid news, see grid stats, look at images of the grid et al, twitter, facebook page and facebook group and yes even information locations in other grids and information in profiles on other grids. The purpose is never to encourage anyone to ever leave a grid they are currently on, nor encourage someone to give up their current land holdings, but instead to promote the benefits of adding another grid to where a person already may be and yes to promote the beneficial differences that Island Oasis offers its residents. Some of these benefits are a newly created assets server database which manages how the page files are stored thus increasing the security of a resident's inventory, a feature for land owners which allows them (through the website region manager) to actually back up their own sim and have the OAR stored and the ability for the resident to restore the back up at their leisure by themselves and not have to file a ticket and wait for it to be done for them. These features are something you will be hard pressed to find any other grid providing for their residents. Other benefits are in many cases lower lag than some other grids, lower cost for land, no set up fees and little to no overhead cost for business owners migrating to include Island Oasis among the grids they are a part of. Island Oasis has always had a policy of requesting its Staff members to never bash another grid. There is no need to talk negative in regards to anywhere else in order to promote the good things Island Oasis has to offer. Instead Island Oasis sees the benefit of having members who are in multiple grids. For one, the networking factor alone is such powerful tool and secondly welcoming in those from other grids can add to the diversity among the residents of Island Oasis. One thing Island Oasis has done is to modify its TOS to include not soliciting members to LEAVE the grid. Any and everywhere you see Island Oasis promoting its grid you will never see an encouragement to a potential future resident to ever leave their current grid, but instead an encouragement to come visit or join Island Oasis and touting the benefits IO has to offer. Owners of grids promoting their grid and citing the benefits of their grid is nothing new and every Virtual World does this to some extent. Any grid who states that they we have this at a lower cost, we have this at a better rate, we can offer you this or that is NOT bashing another grid, instead it is simply stating the stats and benefits that their particular grid has to offer. Realistically every grid has certain factors or features that will appeal to this or that mass of potential residents of virtual worlds. In the big picture if only every grid owner could see the benefits of residents in multiple grids it would mean ultimate growth for all. The economy, market and social factors can all benefit from resident participation in multiple grids. Furthering the sense of community between Island Oasis and other grids, the owners of Island Oasis cordially invites Grid Owners to attend their First Annual Live Summit of Virtual Worlds they will be hosting on March 15, 2013. During the Summit the floor will be open for public discussion of a myriad of topics specific to virtual worlds and grid owners. Hello and Welcome to Ms. Shamrock's Column. Recently on Sept. 30, 2012 Paine Shamrock who is the Island Oasis Media Focus Team Manager of the Marketing Dept., had the pleasure of sitting down with one of the residents of Island Oasis and was able to get to know a little more aboutJstChrmn Twischer, and her JC X-Clusives & Aragon Casuals Here, at Ms. Sharock's Corner, she shares that interview. JstChrmn Twischer: Very good. My pleasure to visit with you Paine. Paine Shamrock: Thank you! for allowing me to come on by today! Paine Shamrock: Why did you decide to bring JC X-Clusives over to Island Oasis? JstChrmn Twischer: Well someone told me about IO and mentioned that the founders were a strong team with a clear vision about what they wanted to achieve with this grid. I decided to set up an account and just come in unannounced and look around. LOL However, no one comes here without being noticed and I had a mentor right away that started showing me around. JstChrmn Twischer: I was so impressed on my entrance alone that I made the decision to come. Once I met Sugar and Demean I was convinced that they were as committed to my success here as I was so I decided to stay. Paine Shamrock: What is the genre of business and products of JC X-Clusives? JstChrmn Twischer: The majority of what I carry is generally called casual but I like to call it lifewear and it really just depends on what kind of mood Im in what I end up creating. Paine Shamrock: So is JC X-Clusives for men? For women? or both? JstChrmn Twischer: For me its about everyone being successful and Im not afraid of my fellow creators being a success. Paine Shamrock: Jst, How long have you been in Island Oasis? JstChrmn Twischer: aww Im 43 days old! Paine Shamrock: How long have you had the business? Where did you learn how to create lifewear? Paine Shamrock: Do you do any custom work for your customers? JstChrmn Twischer: I do customs occasionally. I don't openly offer that as a service because it can get very time consuming if you get a client that you cant connect with. So I will always discuss your needs but if I cant do it Ill tell you right off. Paine Shamrock: Can you tell me about any new products in development or new releases you will have? JstChrmn Twischer: We don't have an agency here yet so Im not certain about how the marketing will go for the items but they will be here rest assured! Paine Shamrock: Oh I'm sure that we all can't wait to see your fall collection! JstChrmn Twischer: Aww well thank you! It's a different mix than what you have seen from me in the past. So I'm very excited about it as well! Paine Shamrock: How do you stay motivated in the world of fashion? JstChrmn Twischer: Oooh thats a great question. I am not a typical "fashionista" I have no history in fashion in my RL other than getting dressed each day and sometimes I just stay in my jammies LOL but I know what I like and i seem to have a knack for this so because I like what I do and use it as a relaxation tool Im probably always going to do this regardless. Relax = Create thats what motivates me! lol! Theres no pressure for me to do this. I do it because I want to and as long as thats how I feel about it , it will never be work and I'll never HAVE to do it or keep up. Paine Shamrock: Out of all the years that you have done this what is the greatest benefit? JstChrmn Twischer: Greatest benefit? The people I meet. If I never made another pair of pannies in my VW life - Id still have made the most incredible relationships with the people I hold near and dear to me. My friends are priceless. I literally miss them when they don't come online and I worry about them as if they lived right next door. Paine Shamrock: Do you do any kind of hunts, promotions, or seasonal promotions? Paine Shamrock: Do you have a date for the grand opening of JC X-Clusives ? JstChrmn Twischer: No honey I do not. Ive had a number of issues getting off the ground here but we are ironing those problems out, I didn't want to set a date until I know Ill be able to keep that commitment. JstChrmn Twischer: LOL well Im here but the rest of my stuff is taking its sweet time so yes LOL the opening will be soon - ish! Paine Shamrock: Do you have a way to for customers to give feedback ie. website? Paine Shamrock: Having awesome customer service does keep the customers coming back and happy :-)!! JstChrmn Twischer: I believe so. I honestly believe that when you are reachable that is a critical factor to anyone you work with. There is always a solution to any given problem if you are available and can get on the same page with your customer. I too am a customer I know what I expect when it comes to service so I wont give anything less. Paine Shamrock: Do you do offer apprenticeship or classes for JC X-Clusives and clothing design? JstChrmn Twischer: you know I can honestly say thats isn't something Ive ever even thought about. I don't think Im that special. LOL isn't that kind of thing for the big dogs of design? LOL Im probably not there yet although I would definitely consider it if I ever get to that level. That would be fun! Paine Shamrock: What do you like about Island Oasis and is there any differences here that you would like to mention? JstChrmn Twischer: I will tell you the same thing we started this interview with that sold my right away. I was not unnoticed when I came here. I immediately felt like I COUNTED. Thats huge for me. AND its very different. Id like to see the mentorship program get stronger so no one ever comes here and feels alone. People get online and come to places like this because they have a need to be part of something. We should always strive to be a part of someone else's world. I want to make a difference in every person I meets life. When you think Charm I want you to smile and say " yea that chic is cool, I feel good when Im around her." No one should ever come to a place like this and feel lonely. In the life of every person I meet is how I meant to say that LOL! Paine Shamrock: Based on your experience and time on IO, who would you recommend as a vendor or owner to come to IO? JstChrmn Twischer: Well I think Ive pretty much drug everyone I know over here so far! LOL So look around and see who is here already. Thats who I recommend. There will be more and growth will come undoubtedly but there is a strong team of people here already and we will all work to continue sharing this world in the other areas we operate in. I believe that IO will be a strong hold in the grid world and in shocking time. With the founders being who they are and operating how they do they just cant go wrong. This is a great grid even with the growing pains :D. But what makes it amazing are the people. I'm really excited to be in on the ground floor. Paine Shamrock: Oh yes! It is the people that makes IO was it is! An awesome place to call home and set up your business and flourish! JstChrmn Twischer: I could not agree more Paine. I'm anxious to get myself settled in where I can start being more involved. Paine Shamrock: Why do you love to create your products? Paine Shamrock: Is there any statements you would like to leave us with, JstChrmn? JstChrmn Twischer: How is that for a grand finish LOLOL! Anyone who knows me will understand that this is a good time to stop talking rofl! Paine Shamrock: JstChrmn thank you for taking time to sit down with me to do the interview for the Island Oasis Blog! 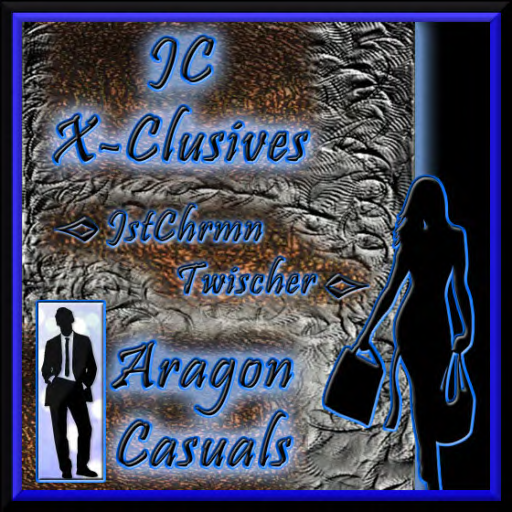 JC X-Clusives coming soon to Island Oasis! JstChrmn Twischer: Well Paine thank YOU for your patience and persistence in working with me. I had a great time and you are an awesome interviewer! :D Great job! Since the the two ladies sat down for the interview JstChrmn has opened her store and is ready to welcome clients. Her store can be found in the region Monentes Island. Hello and Welcome to Esme's Corner. Recently on Sept. 26, 2012 Esme Darkstone, IO PR Team Manager of the Marketing Dept., sat down with one of the residents of Island Oasis and was able to get to know a little more about Isis Ophelia and her store IDdesigns. Here at Esme's Corner she shares that interview. Esme Darkstone: Hello Isis. So lets start with what brought you to IO? Isis Ophelia: I came to IO to check it out. Isis: as a designer its important for me to see how reliable other simulators are. From the beginning I got the impression that the IO management team is running the grid seriously, do you know what I mean? Esme: Oh absolutely I sure do. Isis: I had a store in a new grid and after three months after a bunch of work I put into it the owners simply disappeared. With IO Sugar and Damean I have the impression that they really care about the grid and the people who inhabit it. They work really hard everyday to keep the grid up and running and it really shows. Esme: Yes, its wonderful when you have owners that you can trust but also respect and admire. And your business name it's ID Designs correct? Esme: And what is it you produce? Isis: I do a bit of everything really, shoes, clothing garden and outdoor products.. but I offer mainly footwear for men and women. I waiting for the scripter to finish my skin hud then I will offer heels with sculpted feet. Esme: Oh that will be fantastic I was just about to ask if there is anything currently your working on. How long have you been here with us? Isis: Sense January, I came with a friend to IO and we shared a homestead sim first. Later I bought a premium sim for IDdesigns. Esme: Oh wonderful, on your land do you offer hunts from time to time or considered doing them? Isis: In the future I would like to have hunts, contest and special offers for members as soon as I bring more products in for the grid. Esme: I'm sure that would be a blast! If at anytime you do you can go on our site http://islandoasisinformationportal.weebly.com/forums.html#/ and when have an event section where we can post events once you get started. What do you feel is the greatest benefit of being a creator after doing this for a while now? Isis: I love learning and the challenges creating new things presents. I really enjoy learning new things or tricks and customer satisfaction. I really love and get enjoyment out of what I do. I love the challenge of trying to make something that someone doesn't have. Esme: Yes trying to stay a head of the game bring the newest content to the people...is that how you keep yourself motivated? Isis: Yes creating is a big part in my motivation. I make sure to take breaks in between to keep myself from being completely submerged in the virtuality. I used to work anywhere between 10 to 12 hours daily and as fun as it was the bigger I became the harder I would push myself. In the end I was exhausted and almost burnt out. So now I try to do my best in preventing that. Esme: Oh I'm so sorry to hear that. That must have been a very difficult time for you. I really glad to see you survive from that period in your life and move forward and still creating new things. Is it hard for you now to take break sense you've been so focused? Isis: Hard? Not anymore. In the beginning it was difficult I was so hooked and had a routine and a strong drive but now I just turn the pc off. *Laughs* And now with me doing so I always have a fresh mind when working. Esme: Is there any creators here that you yourself would recommend or mention that your like or enjoy? Isis: I really like Ryders Rylryde's products, he helped me build a vintage microphone. He has a store at the welcome village he makes neat music appliances. Esme: Oh that was thoughtful of him. Speaking of building how did you learn to develop your products? Did someone mentor you and teach you? Or classes you participated in? Isis: I actually taught myself through trial and error plus watching tutorials on youtube and online. Esme: On that must have been interesting they have everything on youtube now. I learned how to make homemade pizza sauce last week. Do you have any statements you'd like to make? Esme: *Laughs* Well we can certainly try! Thank you so much for your time Isis its been a real pleasure. Isis: Oh no thank you for the interview I had a nice time. Isis was kind enough to also share an image of some of her pre-fab buildings. Thank you Isis for your time and candid interview. Be sure to check back for more interviews from Esme's Corner. Why come to Island Oasis? Not often will I put myself out there with an editorial piece, since I much prefer the facts and letting them speak for themselves. In light of being asked this very question many times I decided to write this and let it stand for itself. Let's face it, the number of grids out there available to the public is overwhelming. I can't count the number of people I have dialogued with on one of the most well known and famous virtual worlds out there, namely Second Life. Seems the majority of residents on Second Life are unaware of the existence of any virtual world beyond Second Life. Of those who have ventured out and looked for additional alternatives to Second Life most do not stop at one alternative grid. They are among the bold and adventurous who will try a mulititude of grids all slightly differing from one another but with enough similarities to make it easy enough to acclimate to the new grid. Which grid and why? I am sure we have all met our the fanboi type who go a little over the top as a fan of one particular grid over another. With each grid differning slightly from every other grid its no wonder why some features appeal to the masses while losing an audience to its less popular features. Having been, lived and worked on a variety of grids for nearly 8 years now, like anyone who has been grid hopping, I have my favorites and my less favorites. When asked "Why Island Oasis?" I have more than enough reasons to give. Lets start of with my personal sentiment of "I AM NOT A NUMBER!" Many grids out there have, over time, gained a reputation of treating its residents as a number, merely one of the masses, while catering to special clients. After spending time here on Island Oasis I am more than pleased to not just hear it quoted but see it in action that IO Staff truely cares about its residents as individuals. Let's get back to the topic at hand: Why IO? The ease of use of Island Oasis. To qualify that statement, lets begin with the experience of as starting over in a new grid. I have had that experience numerous times over. Some grids are ready at a moments notice to greet incoming new residents. Some offer perks such as free items or a place to stay, still others focus on lower pricing and higher prim. Island Oasis seems to have it all. Mentors are on hand to assist residents. At the landing spot where you first log into Island Oasis for the first time you can quiclky see who of the official Staff of Island Oasis is online. There are mailboxes for anyone to leave a message with staff. Nearby is the Freebie Mall one can quickly stock their inventory with the avatar appearance basics: clothes, shoes, hair, and more. Need sculpts or textures to help get your started? What about buildings or furniture? Landscaping or animations? Its all available at the Freebie Mall. There is even room for content creators to donate a free item(s) to share with the other residents here. As far as the experience of being a content creator coming to a new grid Island Oasis lowers the overhead cost to starting your business here in that upload and imports are free, listing on their marketplace is free, creating a group is free and making use of listing classified ads for your wares are free. All this collectively lowers not only the overhead start -up cost of beginning in a new grid but the continual cost of maintaining a business. Every resident qualifies for their own free island parcel but beyond that their regions available to purchase sport low cost and high prim. A value I have not seen matched in any other grid. The extra options when purchasing the Premium region for only $15 USD/mo of their pre-fab sims are something exclusive to Island Oasis. There are 4 available pre-fabs that come complete with furnished buildings, landscaping & more. So you could order a premium region and have it move in ready and useable from the moment you first teleport to your newly rezzed region. Something money can't buy is the sense of fellowship and community here on Island Oasis that is extended to new residents. We can all relate to how helpful family and friends can be and how it may feel to look around at cliquish groups that are difficult to break into and feel welcome. Yet for a new resident there are many existing residents here to welcome you make you feel at home. It is with open arms that we welcome all new landowners to Island Oasis. Purchasing your own region(s) is never something we take lightly, nor should you. While Island Oasis uses the OS open source code for a base as many other grids do, please note that not all grids are the same. The look and initial feel of it may be similar but the functions and feature can be unique to a grid. Let's discuss one very important difference for sim owners in Island Oasis vs. other grids. Some of you have some from other grids and have previously been landowners there. Its not uncommon for several grids to have have the same method of restarting a sim and yet that method not be the same across all grids. Island Oasis does not use the feature that allows a resident to restart their sim using the viewer. Although the viewer functions are in place they will not work correctly for restarting your sim in Island Oasis. In IO each resident who purchases a region received a notecard regarding their sim ownership. It is specifically outlined in that notecard to restart your sim from the website. Unfortunately many do not read the information provided and instead assume that IO sim restart is the exact same as other grids. Attempting to restart your sim through the viewer can cause more problems than it solves. "Use the land manager on the web site (Log in to the web site, click the Regions / Marketplace tab in the left hand side menu / Land Manager) to restart your region on occasion. Particularly before and after a big event on your sim. This will help ensure peak performance and also help prevent crashes. DO NOT use the viewer estate tools to restart your sim; this never works correctly and can cause more problems that it fixes." If you are someone who has previously been attempting to restart your sim with the estate manager tools through the viewer and wondering why you still were having issues, this very well may be the reason why, So in the future we ask all landowners, current and future to remember to go the website to restart your sim. We do want you to have the best experience possible here and will always do our best to provide you with the accurate information to ensure the best overall user experience her at Island Oasis. Now lets talk about the benefits of restarting your sim through the website. First of all its one website to do it all, marketplace, buying or selling $Ps, ordering land AND restarting your sim. You do not have to be logged into the grid to restart. As long as you have Internet acccess you can restart it. FROM ANYWHERE. Your cell phone, your ipad, work (if you have interent there) on the road from cafes and hotels, motels with internet, PS3, Xbox 360 etc. Have a problem with logging into your region just restart your sim from the website FIRST. Are you a land baron? Have many regions? Manage them all all day long from anywhere with out ever logging directly into the grid. Do you work rl all day only to have a few hours online at night but want to restart your sim(s) mid day? YOU CAN! Currency Exchange in Second Life, region Villeneuve. Search on "Island Oasis Information Portal"
When coming from any existing grid to begin at a new one, there is never a shortage of the number of residents asking if there is a way to transfer their currency from grid to another. There is no one universal answer for that question. There is, however now a way to exchange your $Ls for $Ps. At the Island Oasis Information Portal in the region Villeneuve in Second Life there is now an exchange terminal. Exchange rates are for the most part 88% conversion rate. Thus, 100L=88P. If you are exchanging amounts 7500L or 10000L the exchange rate is increased by 4% to a 92% conversion rate. There are currently two ways to exchange your currency. The first uses a 6 panel vendor where you can purchase an exchange package in the following increments: $500L, $1000L, $2500L, $5000L, $7500L and $10000L. The second is using the "odd Amount" exchange vendor. Any increment may be exchanged over a $10L minimum. This option allows someone who has for example $367L to exchange and they don't have enough to purchase through the 6 panel vendor. Some of the benefits include being able to exchange any amount, including amounts too small for LL to process to a paypal account. Saving time of cashing out from LL first to get your real life currency. One interesting perk for some users may be the ability to exchange $Ls and transfer the $Ps to multiple avatars all within a single transaction. Transaction Histories are available to residents via the resepctive websites for the indivudual grids of Second Life and Island Oasis. So that anyone making an exchange will have records for both worlds. The CUrrency Exchange is located in Second Life in the region Villeneuve. Search on "Island Oasis Informations Portal". Click the Currency Board for information/instuctions. Direct any Questions to Alysin Paolino. I am very pleased to offer an Official Information Portal for everything IO. The Marketing Dept of IO intends on fully supporting each and every business owner in Island Oasis, by offering a comprehensive Directory as well as enhance the user experience by providing a Forum, a comprehensive in-world Directory as well as a Showcase. To the public we offer official News and Press releases and welcome guest authors to submit articles regarding IO. This lively and exciting Grid has much to offer. Whether you are a content creator looking for a new venue to sell your wares or looking for the social factor Island Oasis has it all! We hope to see you there. We invite you to become a Guest Author. Let us hear your story! Share news and announcements. Submit your article HERE.